People from communities of color and other diverse populations have strong but often underrepresented philanthropic traditions. They are also underrepresented in the leadership and staff of nonprofit organizations and the philanthropic sector. On March 2, a Diversity and Philanthropy Summit will be held by the Indiana University Lilly Family School of Philanthropy to better understand and explore these issues and how they can be overcome. Nonprofit professionals and volunteers, scholars and the public will discuss diversity, leadership and philanthropy, including what is needed to increase diversity and what can be achieved through more deliberate research, education and outreach. 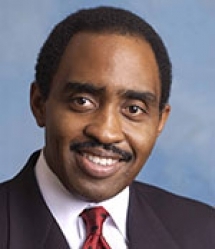 Emmett D. Carson, Ph.D., CEO and president of Silicon Valley Community Foundation, visiting fellow at the school, and an international thought leader in the field of philanthropy, is the keynote speaker. Carson is an authority on issues of social justice, public accountability and African American giving who writes and speaks frequently about issues of diversity in philanthropy and the nonprofit sector. The summit will be an open conversation on these topics and on broader issues of diversity in philanthropy. In addition to the keynote address, there will be panel discussions on research and scholarship about diversity and on leadership. The event will be held at the Madame Walker Theatre, 617 Indiana Avenue in Indianapolis. It is made possible by the generosity of USA Funds. The Indiana University Lilly Family School of Philanthropy is dedicated to improving philanthropy to improve the world by training and empowering students and professionals to be innovators and leaders who create positive and lasting change. The school offers a comprehensive approach to philanthropy through its academic, research and international programs and through The Fund Raising School, Lake Institute on Faith & Giving, and the Women’s Philanthropy Institute. Follow us on Twitter.